With the first Copenhagen Fashion Week of the year just behind us, we got all image conscious in the DIS office. 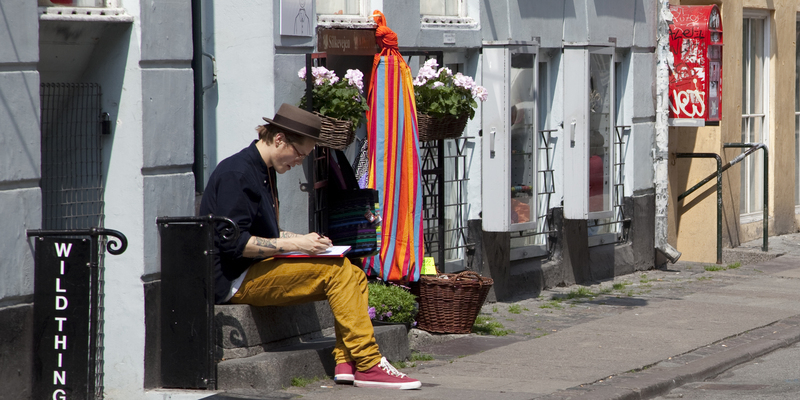 So we put our heads together with Anders Larsen, DIS faculty member for the semester and summer course The Meaning of Style, and put together a mini guide on just how to look like the stylish locals in Copenhagen. It can be dark in the cold up north as the degrees of latitude get higher and higher and the Danes really know how to respond to the long dark winters – by lighting candles, getting down with some hygge (coziness), and reflecting their surroundings by wearing as much black as possible. 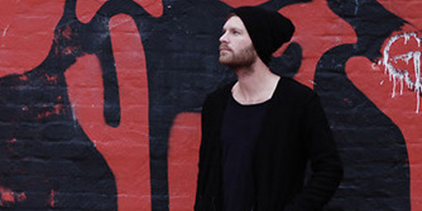 The wearing of black, however, transcends the seasons and is also a very popular summer ‘color.’ Unconfirmed rumors suggest Danish architects have a special blacker shade of black that is off the CMYK and Pantone scale. Just because your favorite mode of transport is the bike, it is no excuse to dress down in practical attire such as sweatpants or a loose fitting sweatshirt. 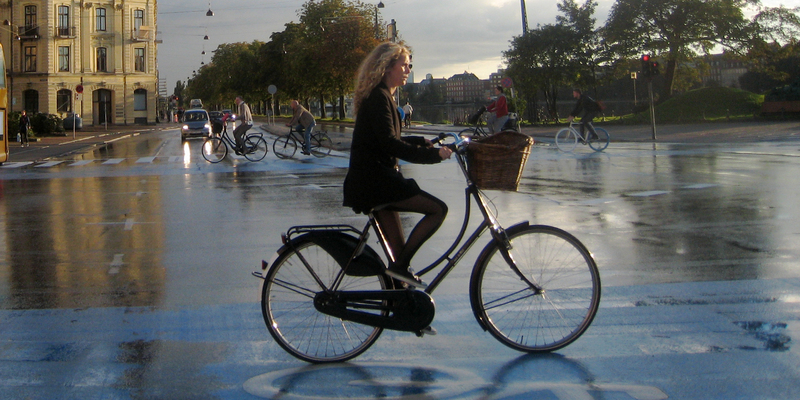 Copenhagen is fashion in the fast (bike) lane – and you better be ready to keep up. Capes and ponchos dominate in the female category as cyclists glide by. For guys the rules are simpler – just make sure you’re on a high-spec, highly personalized, but ultra-minimal bike, fixie or similar. 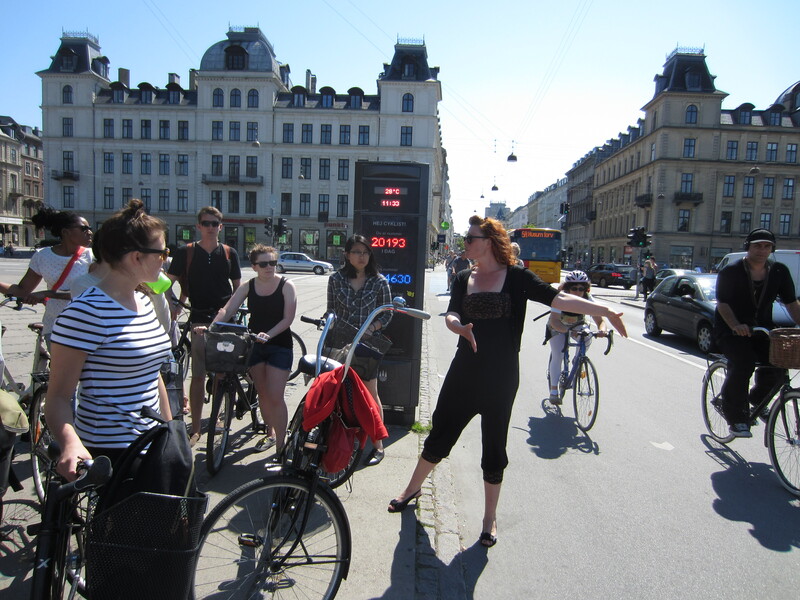 Our all-time favorite chic biking DIS’er is faculty member Bianca Hermansen – she leads students on field studies through Copenhagen’s livable neighborhoods by bike in heels! 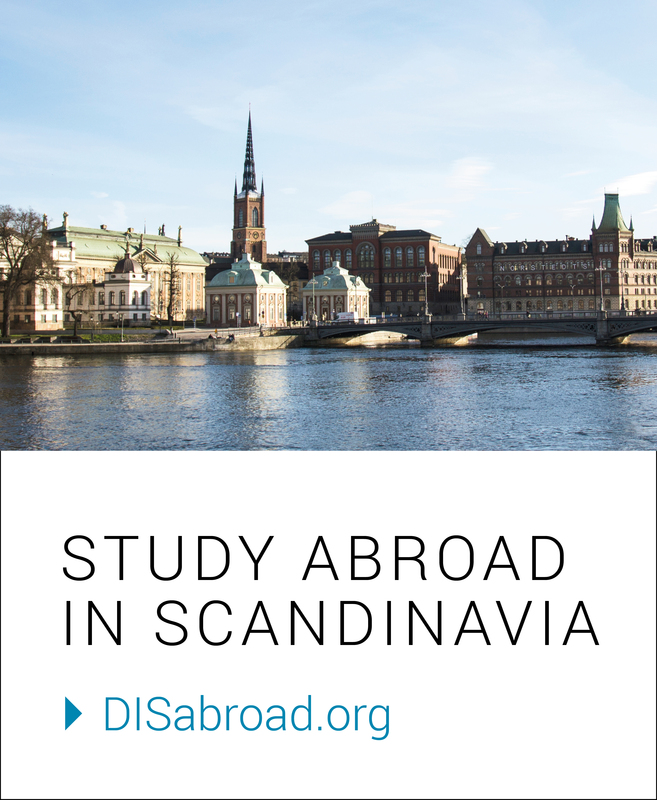 To fully pull off the Danish look, you need to forget about north-south balance. Think: a stylish thickly wrapped scarf, Scandinavian heavy knit sweater, and a big winter coat. In silhouette, this means you appear to be constantly on the brink of toppling over – but warm! And stylish. Women with long hair go with an untied, flowing shock of hair or a tight bun or braid, which should be perched tidily on the head. Pixie cuts are also the rage. For guys things get more complicated: Leading the way in popularity over the last five years has been the short back and sides and a backcombed top. The second option is the geometrically complex, spiked, hairdo, which involves vast prep time to work on angles, planes, and the solving of several complex equations. 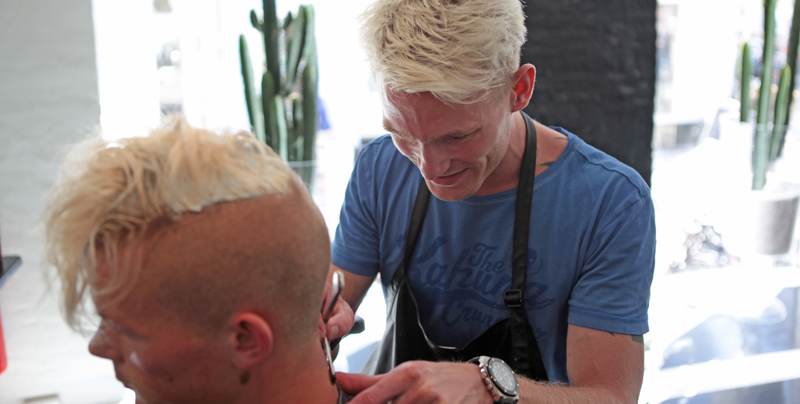 Danish barbers all hold applied math degrees, with a minor in geometry. Guys, don’t be intimidated! American male students have gone before you and dived into the Danish hairdo with relish! Check out the looks of DIS Bloggers – Patrick Buggy, Erik Douds, and Ryan Mace. Facial hair is also trending, with the bearded man reigning supreme over the grooming industry for the best part of the last decade. The concept of clothes not looking masculine or feminine enough is a rare concern, so if you really want to dress like a Danes, you need to see past gender distinctions. Many of the up-to-date style tips you need can come from blogs. 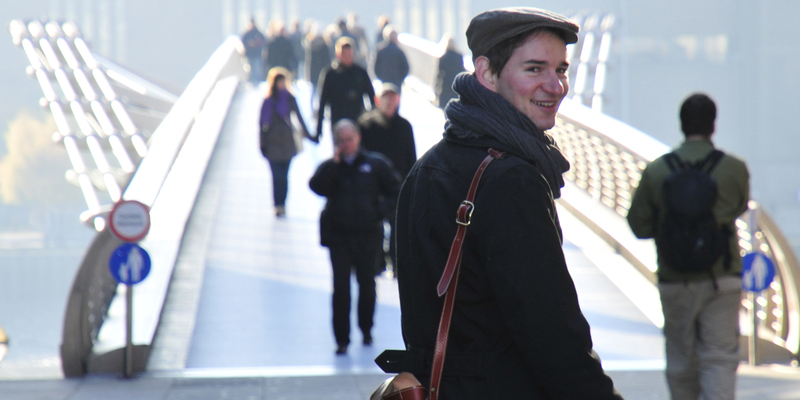 We recommend ‘The Locals,’ which is a Danish website covering a lot of cities, including Copenhagen, and Copenhagen Cycle Chic, which shows you how to look good on your bike. Many of our past DIS Bloggers have also picked up on the intricacies of Danish style – none more so that Copenhannah, who saw her awesome post on how to look like a Danes go viral in Denmark last year! The Danish weather can be a little unpredictable, but this is no excuse to be caught out – as the locals in Copenhagen say: “There is no such thing as bad weather only bad clothes.” This is where accessorizing comes in. The oversized scarf is a must, and is easy to tuck away in your Fjällräven backpack (hiking style) when it gets too warm. Beanies also offer protection again fluctuating temperatures, but they tend to be worn at all times including during summer and indoors. 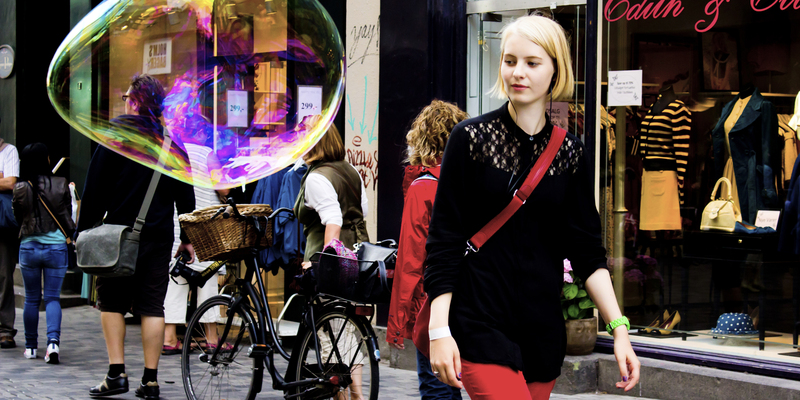 While black is the color of choice for your clothes, jewelry is where the Danes like to have lots of fun with color – from neon to pastel, Danes can liven up an outfit with one splash of color on a necklace or a tiny pair of earrings. Geometric design is also the fashion at the moment. 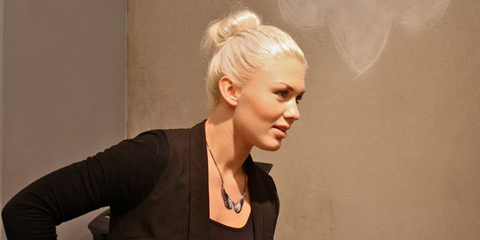 Local designers to check out are MÖS, Helbak Scherning, Pernille Corydon, Rølga, and Anne Black. And for the all-time classic Danish piece of jewelry, look no further than the George Jensen daisy earrings (but you’ll need to save your kroner for this classy souvenir) designed for the birthday of Queen Margrethe II, whose nickname is ‘Daisy’. Samsøe & Samsøe, a longstanding staple of the Danish fashion industry. And don’t worry, when you step off the plane into stylish Copenhagen one day soon, Anders Larsen’s door is just a knock away. . . come see which of his 100 pairs of shoes he is wearing – and good luck finding him in the same pair twice!